Near the beautiful rentals in Bellevue, there’s a positively enthralling event in Kirkland that’s sure to be the talk of the town — the Kirkland Art Walk. Right in the heart of Bellevue’s “sister” city to the north, this opportunity to check out some of the area’s most impressive local artists continues to thrive, and there have been some recent changes to the program that will fascinate old fans and new visitors alike. What are these changes, exactly, and what is the Art Walk all about? That’s exactly what we plan on getting into today, as we take a look at the current state of the Kirkland Art Walk and give you the lowdown on where to go and what to expect when you arrive. What in the World Is the Kirkland Art Walk? For starters, a bit of background may be in order. 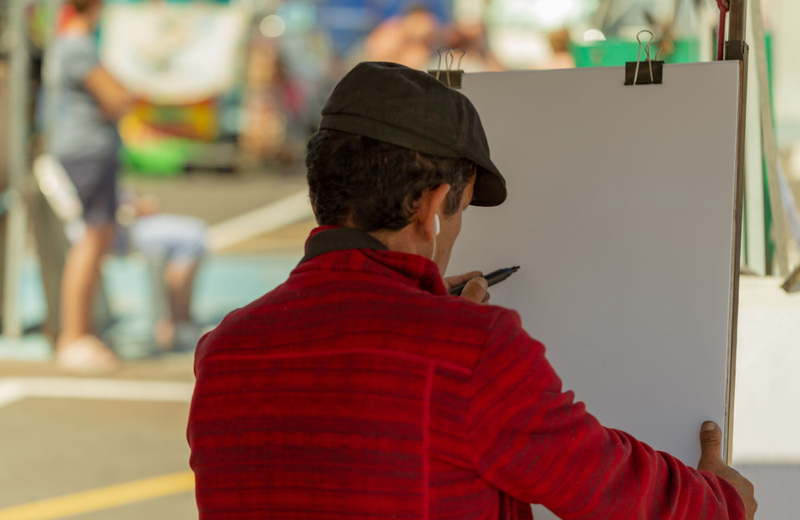 An art walk, in case you weren’t already aware, is a community event where visitors can leisurely traverse a segment of their town and view the fine works of amazing artists, all the while enjoying additional perks like food, drinks, and live entertainment. So while the Arts Walk is evolving, there are still two places in particular you can head to get your artistic fix, so let’s explore both of those quickly. The first is the Parklane Gallery. Located on the appropriately titled Park Lane, this gallery has some 44 resident artists, representing individual art forms like painting, sculpture, and the like. Throughout October and November, they have several art-centric events that will be dotting the calendar, like the Kirkland Wine Walk. As the name implies, the event will give participants the chance to view fine works of art while simultaneously sampling some exquisite wine, so if you’re a fan of the reds and whites, this one’s for you. During the month of October, they’ll be featuring two of their exemplary artists, Adrienne Anderson-Smith and Forrest Goldade. The former is Emmy-nominated, and, according to the gallery, her “whimsical walls of rock faces display the wonderful mélange of our culture,” a true feat. The latter, Goldade, is debuting a new collection of acrylic and watercolor paintings, “Northwest Impressions,” and these recent works “explore themes of northwest animals and landscapes” in the tradition of other greats such as Morris Graves. Moving onto the second gallery, the Kirkland Arts Center, you’ll find a veritable historic landmark with a history that stretches back to the early 1960s. The organization was formed by “artists and citizens interested in providing local opportunities in the arts and preserving the Peter Kirk building” where they’re based. Today, they offer some 65 classes and other resources for artists, enriching the community as a whole. “Bid on art, indulge in food and drink, and imagine KAC’s frabjous future. It’s one of the biggest fundraisers that the Kirkland Arts Center holds, and it’s entering its 10th year. You won’t just be able to look at fine art when you check out this event — you’ll be able to make a bid on it as well, all the while experiencing great company, sampling delicious food and drink, and seeing some live entertainment. You can get a view of some of the items that will be up for auction by taking a look at the official catalog, and the organizations that will benefit from this fundraiser include the Make Your Mark after school program and affordable art classes for young and old alike. Be sure to grab a ticket and show your support for the community. Beyond the beautiful grounds and amazing amenities of communities like Hyde Square, there’s a whole wild world of quirky adventure to explore around this part of Washington. You might find that the lifestyle here perfectly suits you, so we welcome you to check out everything that Hyde Square has to offer and reach out to learn more about making this your new home among the beauty of the Pacific Northwest.